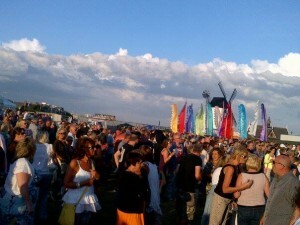 Party Night at the Lytham Proms! I was in Lytham at the time having tea before going to the 80s night at Lytham Proms, on Lytham Green overlooked by Jubilee House. It was great to glance Jubilee House from the Lytham Proms knowing that the planning permission was imminent and that the incongruous 1960s building that was Birkenhead House would soon rise majestically as Danbro’s new HQ Jubilee House and with apartments – a superb design that Lytham will be proud of. It was great to work with the expert Design Team and also with Helen and Damian Broughton who created Danbro who are truly inspirational for what they have achieved. This entry was posted in News and tagged Lytham Proms by Helen Broughton. Bookmark the permalink.